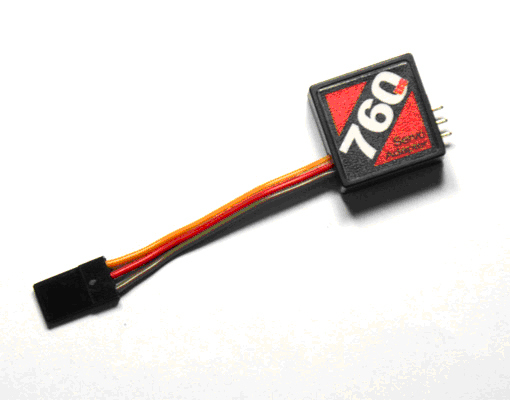 ASSAN 760us servo adapter can convert the conventional 1520us wide-pulse servo signal into the new-type 760us narrow-pulse signal to drive the 760us high-speed servo. It will give the helicopter control faster response and better performance. It will greatly improve the performance and applicable scope of the common gyros such as GY401 and give the conventional gyros a new life. In addition, this adapter is also applicable to the new 760us high-speed servo to be directly used in other surface control and get the extra-high-speed control surface response performance. It will greatly extend the applicable scope of the new-type 760us high-speed servo.